European cars are expensive, Korean cars are cheap. Well, that’s how the generalisation used to go at least. Yet here we have the new Skoda Rapid that, at $18,990, is the most affordable European small car on the market, and is actually $1000 cheaper than the South Korean-made Kia Cerato that falls just $10 beneath the crucial $20K barrier. 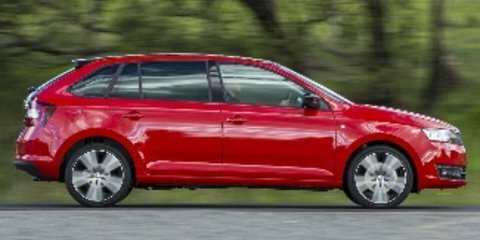 Transaction pricing is very different to the recommended retail price, though, and from our experience both the Skoda and Kia can be purchased for less than $20,000 driveaway – deals you’re unlikely to get on a Mazda 3, Volkswagen Golf or even Hyundai i30 that aren’t much more expensive based on their RRP. Add automatic transmissions as most Aussies will – as we have here – and the Skoda Rapid Ambition becomes a $21,890 plus on-road costs proposition. That $2900 increase on the manual is partly because a 1.2-litre turbocharged four-cylinder engine is swapped for a larger 1.4-litre. The Kia Cerato S, meanwhile, is $22,290 plus on-road costs for its 1.8-litre non-turbocharged four-cylinder automatic, though to highlight the deals you can get on this duo, MY13 runout models are currently on offer for $19,990 driveaway. Each contender is about 4.3 metres long, stretching 30cm further than light hatchbacks in the class below such as the Toyota Yaris. The Cerato is 8cm wider but not quite as tall the Rapid, so they should technically offer approximately the same interior space. The bargaining chip with both is to offer more room for similar money to the Yaris class. Some interior trimmings in each are functional rather than fashionable, and each feels (from the inside) as though they are worth quite a bit less than the snazzier i30, Mazda 3 and Golf, which is fine because they are. Of the small, monochromatic infotainment displays, the Kia’s trumps its rival’s. Quicker to sync with your phone than many premium products, the Cerato’s does its stuff instantly when you turn on the car and automatically downloads your whole phonebook within seconds. The display in the Skoda Rapid is smaller, and doesn’t show phone contact details as clearly. The display doesn’t show what song you’re listening to via Bluetooth audio at all, you can’t skip tracks independently of your phone, and the USB input doesn’t recognise a standard iPhone/iPod cable – where the Cerato provides a tick on all three accounts. The Rapid does, however, get an excellent and simple voice control system that isn’t standard in the Kia. Simply say ‘Call John Smith’ and you’re away without taking your hands off the steering wheel (where trip computer and cruise controls are positioned on both contenders). The Cerato returns serve by including front and rear parking sensors as standard where its rival gets none, and neither include a reverse-view camera at this level. The Skoda then slices the ball back across the net by exclusively featuring a leather-wrapped steering wheel, digital speedometer, plus alloy wheels on the outside, with the Kia making a final lunge by offering a centre rear armrest and auto-off headlights. Surprisingly, then, equipment set points go to the Euro contender – only just – although safety features are evenly matched with six airbags (dual front, side and full-length curtain) and electronic stability control standard on both. The Rapid’s rear seat offers more legroom than Cerato’s, which lanky teenagers especially will appreciate, though an obtrusive centre console also makes legroom for the centre rear passenger more restricted. 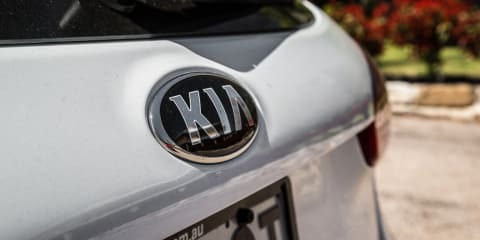 Particularly with the fixed panoramic glass roof of our test Rapid that comes part of a $2100-optional Style Pack, headroom comes at a premium compared with the Kia (and that’s in addition to the body creaking you get when reversing out of a driveaway, for example). If you’re heading to a cricket match this summer, as we did in our video review on one particularly sweltering Sydney afternoon, it’s the Skoda that can best pack in a kit of bats and balls, and an esky without fuss. The cavity itself is both deeper and longer than the Kia’s, though a claim of 384 litres is technically 1L less than that rival. The Cerato feels more mature than the Rapid, though, with wider and more supportive front seats, less road noise when you’re on coarse-chip surfaces, and extra storage options. In the latter case, that includes a big centre console bin versus a tiny fold-down centre armrest, a tray under the air-conditioning controls plus sizeable cupholders where the Skoda only gets the latter, and a sunglasses holder where its rival gets none. Both score bottle holders in all four doors, to which the Kia also adds another pair of cupholders in its rear armrest. With the Kia having gained plenty of ground in the static assessment, it was time to trade pragamtic practicality for performance testing not on a racetrack, but rather the cut and thrust of the urban grind. The 1.8-litre engine in the Cerato is a perky delight. It makes its peak 110kW of power and 178Nm of torque quite high in the rev range, yet it rarely needs a bootful to get moving. The six-speed automatic transmission is superb, one of the greats regardless of price. Not only is the Cerato’s throttle response immediate so it always feels eager around town, but the auto’s ability to subtly grab a lower gear on hills even before you’ve thought about applying extra throttle is a masterstroke. Then when you’re overtaking it grabs one or two lower gears and smartly holds them, completely disguising the fact this engine doesn’t have much torque low in the rev range. When you do want maximum acceleration, the four-cylinder revs quickly, feels zingy and sounds sweet. It’s an engine that proves you don’t have to go high-tech turbo … which is exactly the type of engine found in the Skoda. If you do, though, you will be rewarded in the Rapid with a decent slug of torque – an extra 22Nm of it – from barely off idle. The 1.4-litre turbo Skoda shares the light spring in its step that the Kia has, yet with a 70kg lighter kerb weight (1210kg versus 1285kg) it feels at once faster (0-100km/h is claimed in 9.4 seconds) and more relaxed. On the move the seven-speed dual-clutch automatic transmission, labelled DSG as it is in technically identical Volkswagen products, defaults to taller gears more quickly than its rival, knowing that its engine partner can be more relaxed to achieve the same speed on hills. It’s at crawling speed or when parking that the DSG suffers notably compared with the torque converter auto fitted to its rival. Where the Cerato auto is always impeccably smooth and fluent when you’re just lifting off the brake to creep along in traffic, the Rapid is more like a light switch, surging forward if the brake is released or halting if it is pressed. Volkswagen DSG transmissions have come of age in most newer products these days, but not in the Rapid (which was released internationally in 2011 but arrived locally this year). Once on the move, the DSG is excellent, complementing the Skoda’s excellent urban road manners. Despite being fitted with an optional sports pack featuring low-profile 17-inch tyres that can affect ride quality, the contender from the Czech Republic is smooth and comfortable yet controlled over potholes, dips, divots and roadwork scars. The Kia features 16-inch steel wheels with thicker sidewalls, and the rubber combines with suspension that handles the absorption of both little niggles and bigger ruts similarly well. It’s when bigger speed humps come into play that the Cerato bounces more than its rival, being noticeably softer yet no more or less soothing. The Skoda’s single-setting steering is also consistently light and smooth whether driving or parking. By comparison the Kia’s three settings reveal a few pros and cons with each; Comfort and Normal are light for manoeuvring but are vague enough on centre to demand some corrections when on urban arterials or the freeway, where Sport is quite heavy around town, but the extra meatiness covers up the vacant patch. The latter is quite likeable in all situations except parking, so you can just thumb the steering wheel rocker switch back to the light mode if need be. Away from city limits, the Kia is more comfortable in its seats and noticeably quieter as aforementioned, but its suspension can struggle; our photographer Glen commented that the way the Cerato can shimmy sideways when hitting a mid-corner bump reminded him of his 1990s Ford Falcon wagon. The Kia is also let down by its Nexen tyres, where the Skoda’s (optional) Continental rubber offers far more grip. The Skoda certainly feels more composed and resolved regardless. Despite its tall and skinny stance, and seemingly metres of space between the tyre and wheel arch, it is more enjoyable on country roads, if louder. Colleague Matt, who was on both the Rapid local launch in Queensland and this comparison test, commented that the little Skoda proved far more impressive to drive in urban and sweeping country roads compared with the limited launch roads of our initial review. While the Kia has a near-faultless automatic around town, it also lacks the Sport mode of the Skoda, which on the move, steps up to meet a keen driver’s every wish, holding gears prudently and pushing back through the ratio set under brakes. On our mix of urban, freeway and country road driving, the Rapid also proved more economical, drinking 6.7 litres of premium unleaded per 100 kilometres compared with 8.2L of regular unleaded per 100km for the Cerato. Interestingly, the difference between their fuel logs on test is the same as their claimed combined cycle fuel consumption figures of 6.0L/100km and 7.4L/100km. Given that there’s roughly 10 cents per litre price difference between unleaded ($1.40 at time of writing) and premium, however, and based on both our tested figures and the average 15,000km Australians travel each year, the Skoda will cost $1508 to fill versus $1722 for the Kia. Sides swap again when it comes to servicing costs, however. Both manufacturers offer fixed prices for annual or 15,000km checkups, but over three years the Cerato will cost $887 to service compared with $1135 for its rival. There’s extra value, not to mention peace of mind, in the Kia’s just-announced seven year, unlimited kilometre warranty (so new we missed it on our video! ), where Skoda sticks to three year, unlimited kilometre cover (and asks an extra $1650 for five year, unlimted kilometre range). Not only that, but roadside assistance is included for the period covering each of those terms. And so that tennis ball keeps flinging back across the net. That said, maybe given we filled their boots with cricket gear perhaps a ‘hit for six’ analogy is required in conclusion. Fact is, both entry-level models are charming in their own way – while perhaps not as technologically progressive and fashionably dressed as more expensive models in the small car class, each have clear virtues. The Skoda Rapid has a roomier rear seat, more controlled suspension and keen drivetrain on the move, but in some ways it feels a bit immature, a larger light hatch that could be renamed the long-wheelbase Volkswagen Polo. Given that, it’s the extra maturity found in the Kia Cerato, from the smoother transmission to the more supportive seats, extra storage and quieter cabin that gives the South Korean contender just enough extra runs on the scoreboard to win.